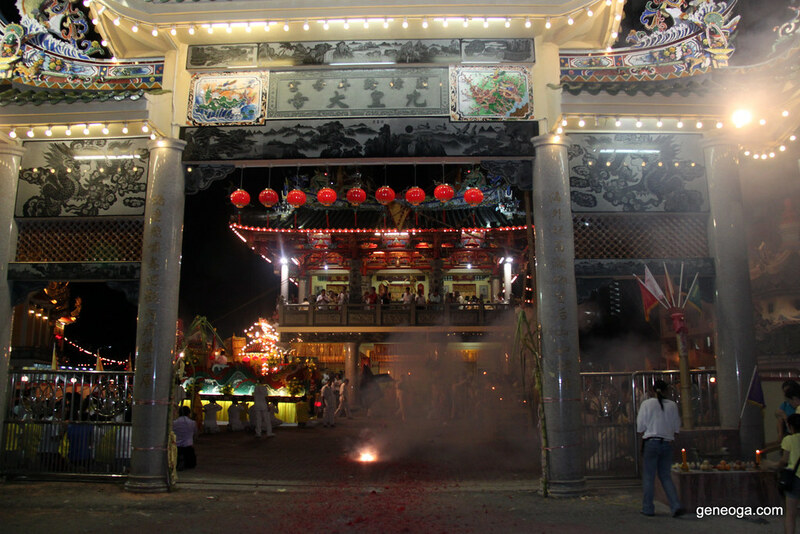 It’s now the 7th month of the Chinese Lunar calender and it is this month that the Chinese folks belief that the gates of hell will be open. 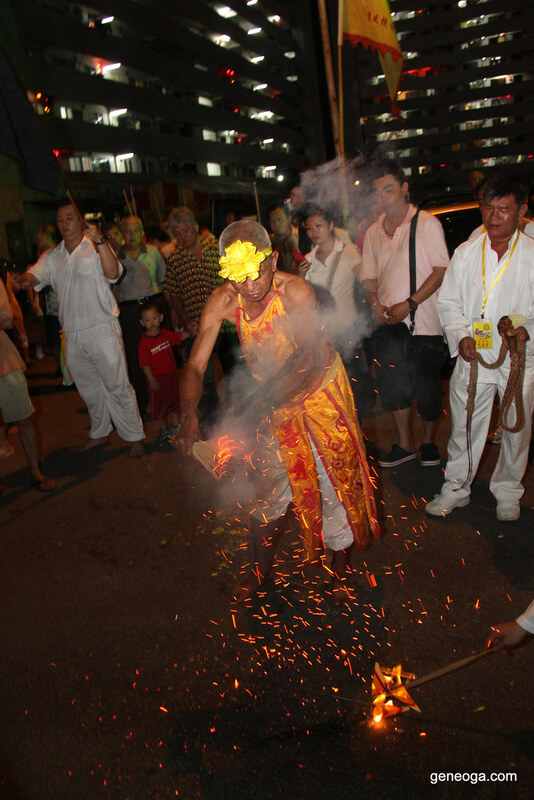 Dead souls are allowed to roam the streets of the living for this month. 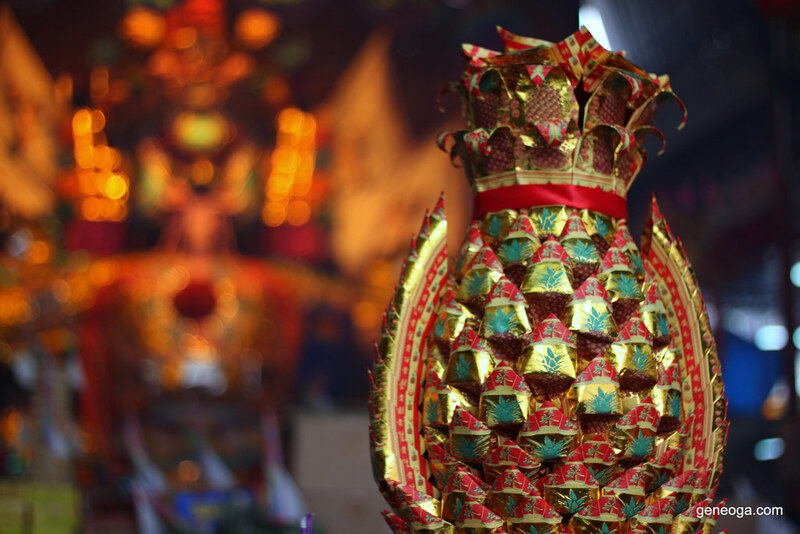 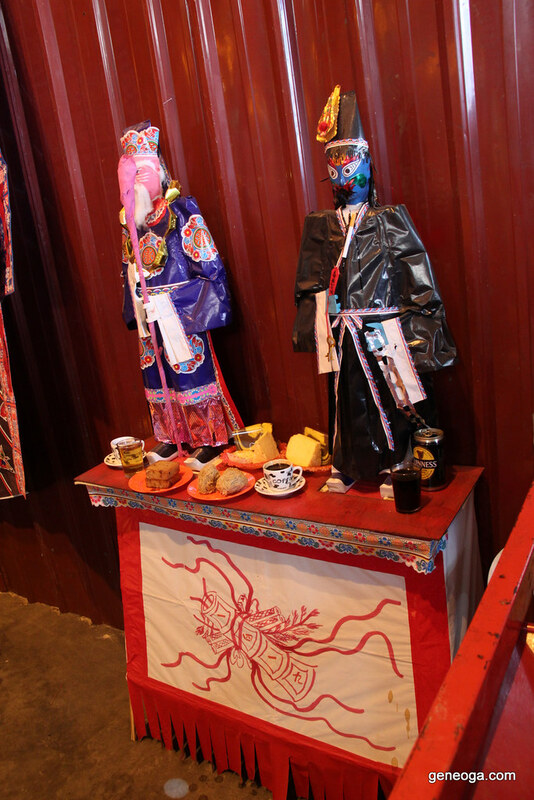 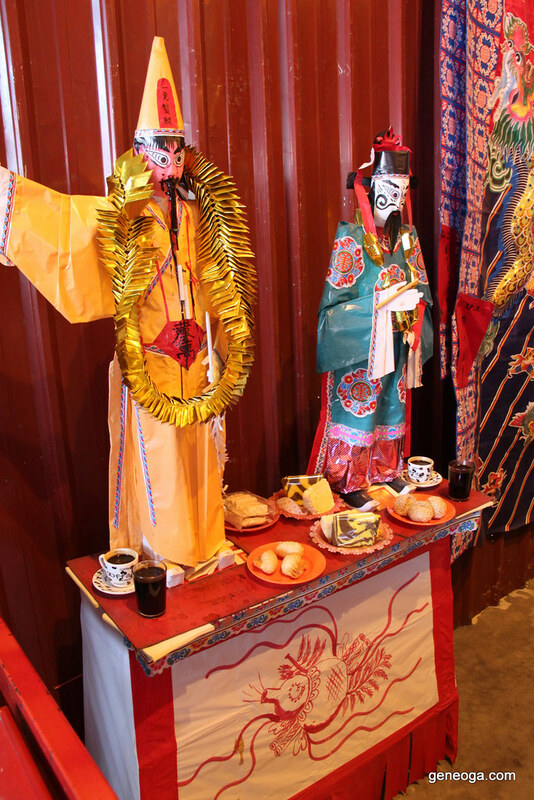 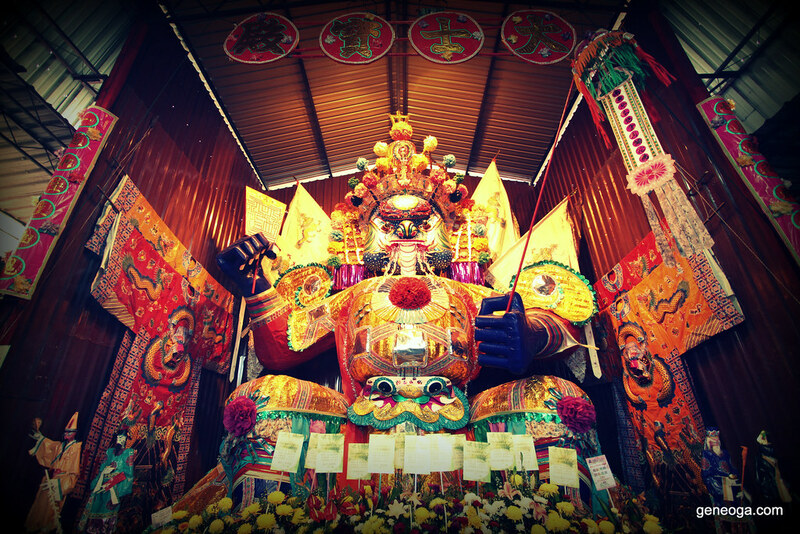 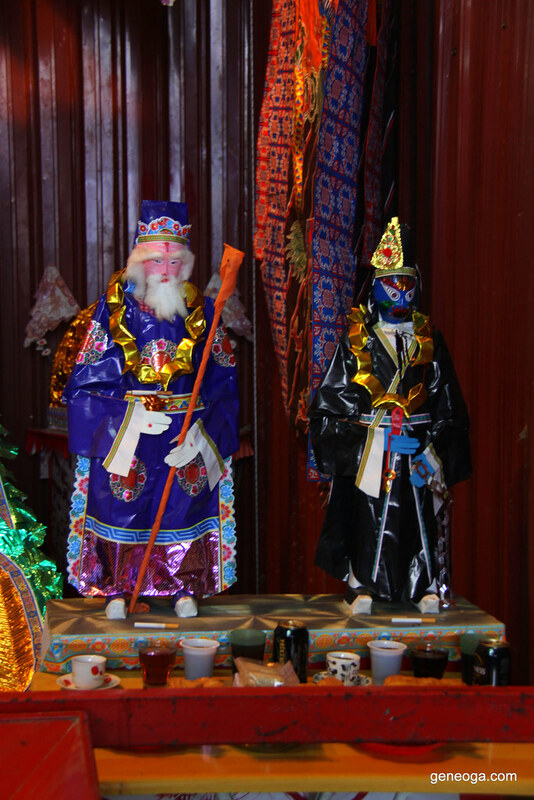 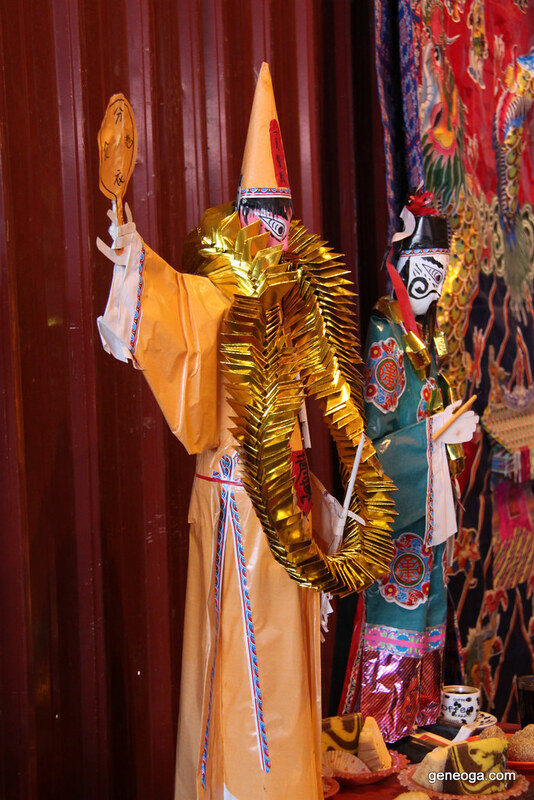 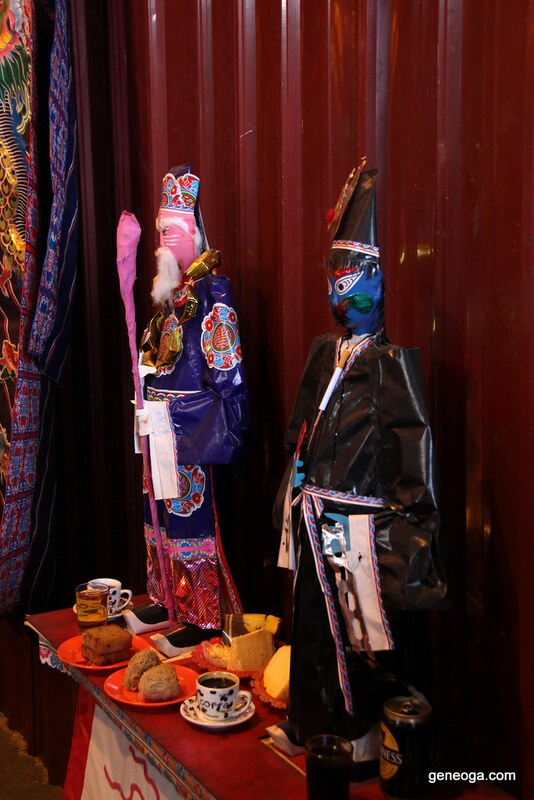 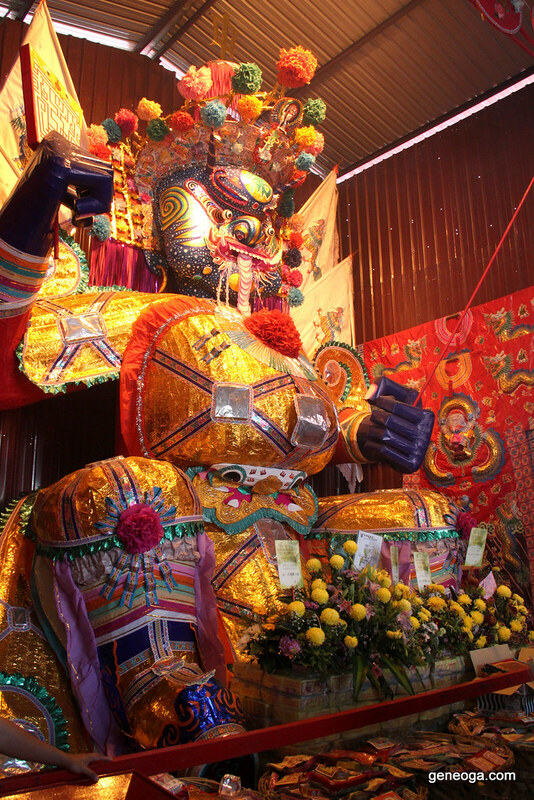 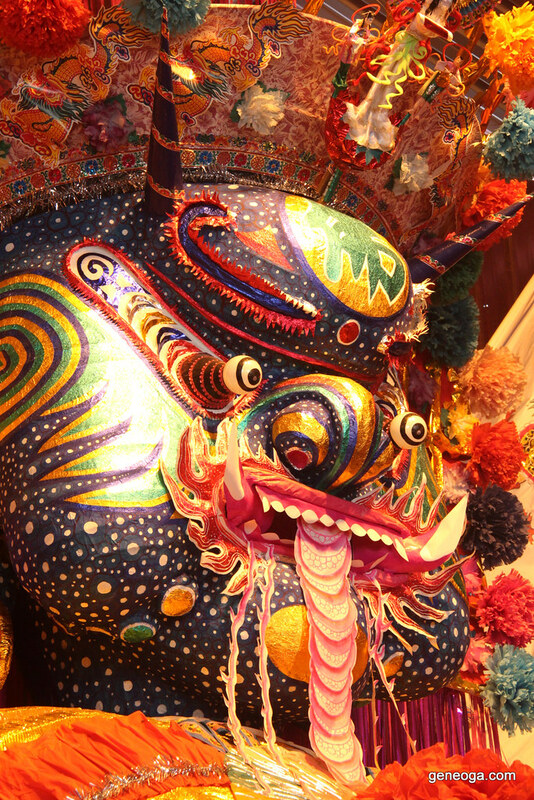 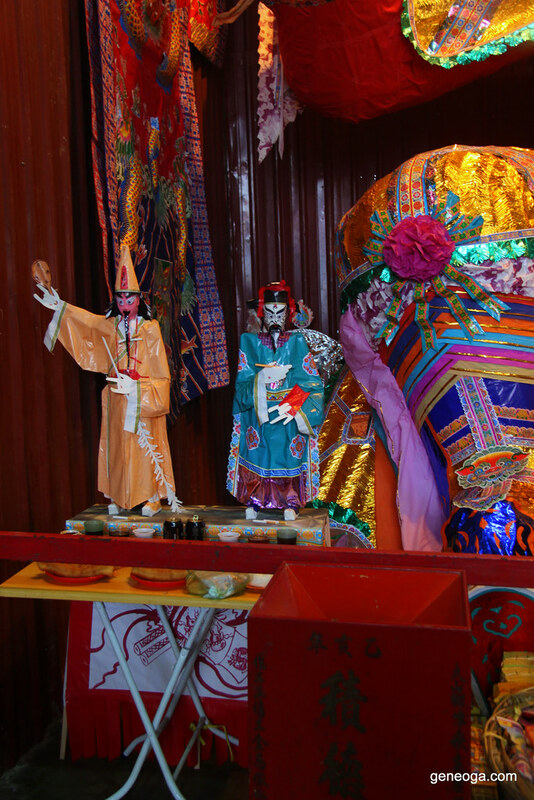 Phor Thor or the Hungry Ghost Festival is being held to worship the Tai Su Yah for good luck and protection. 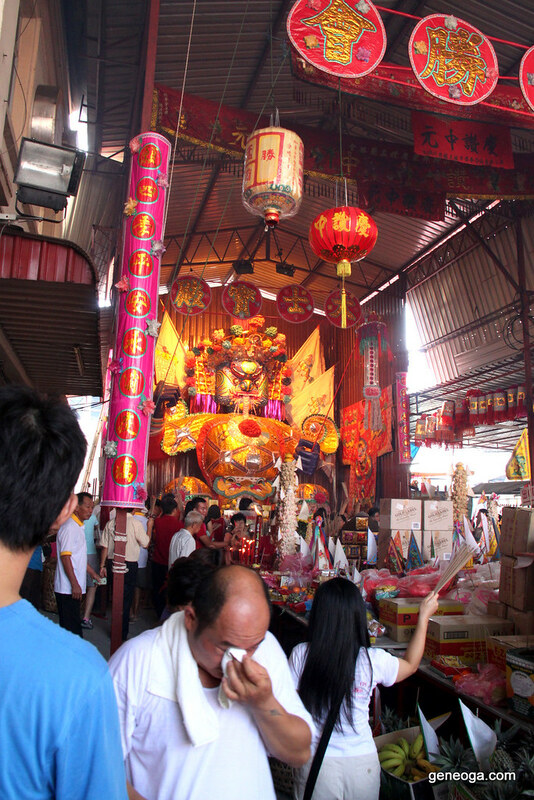 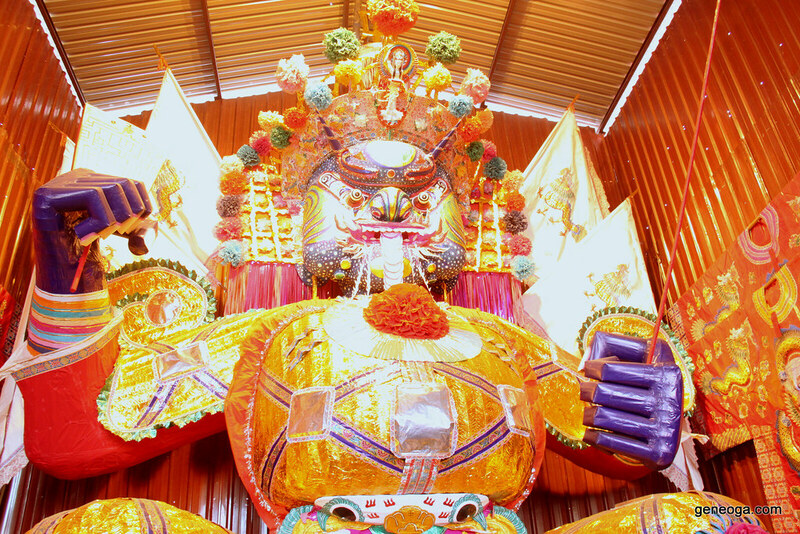 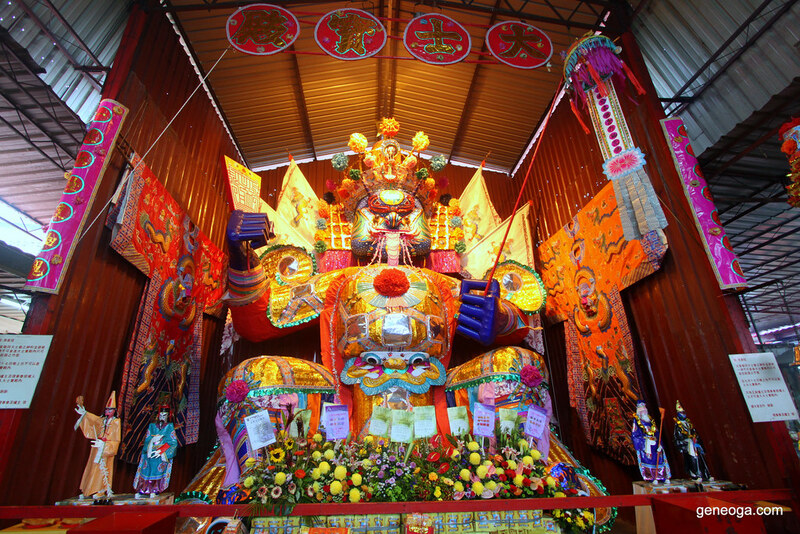 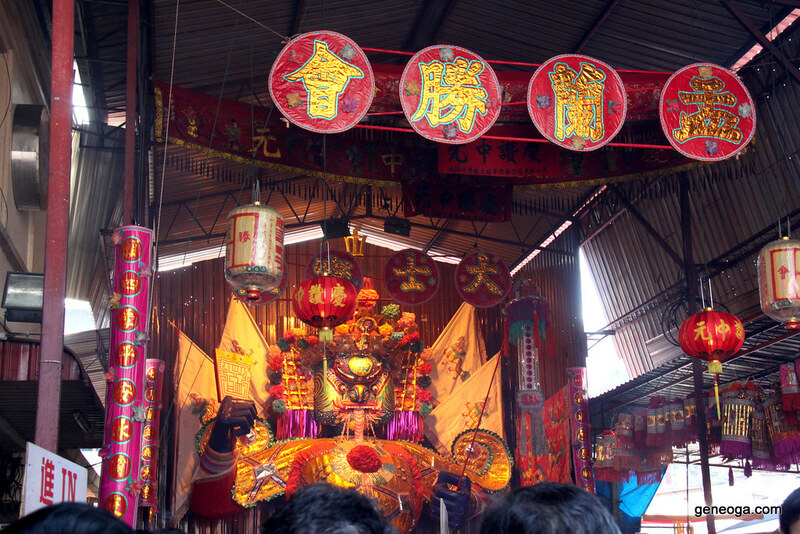 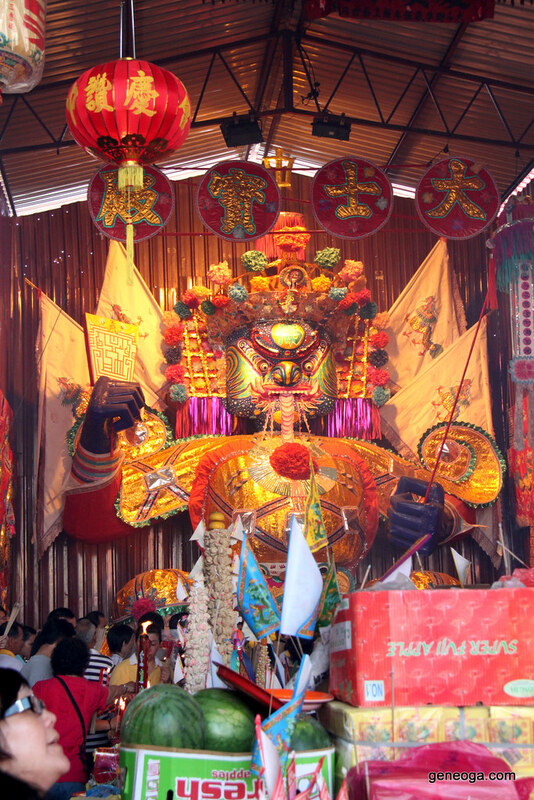 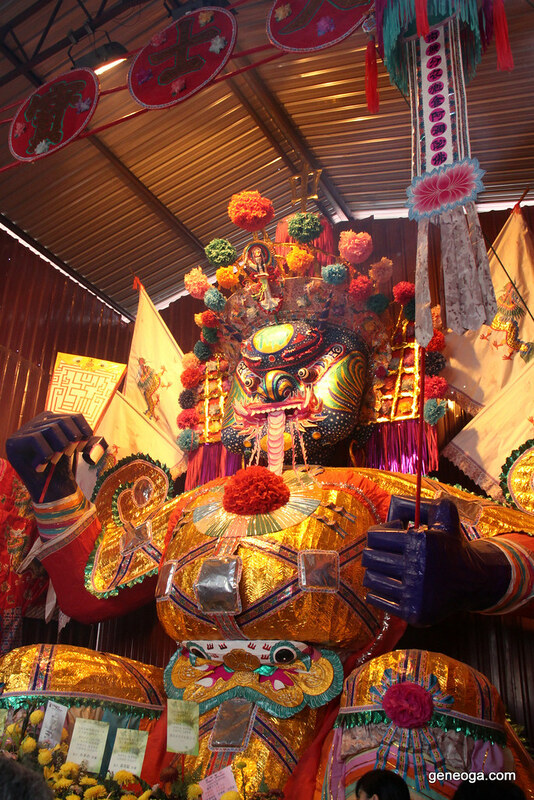 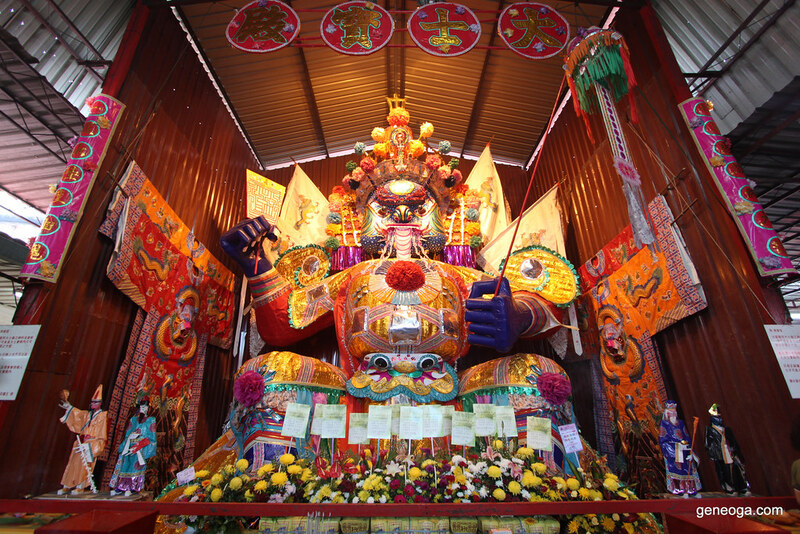 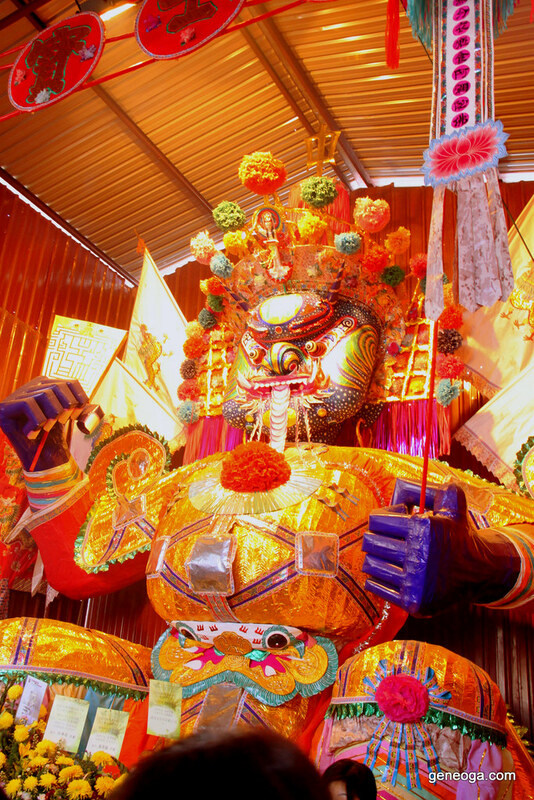 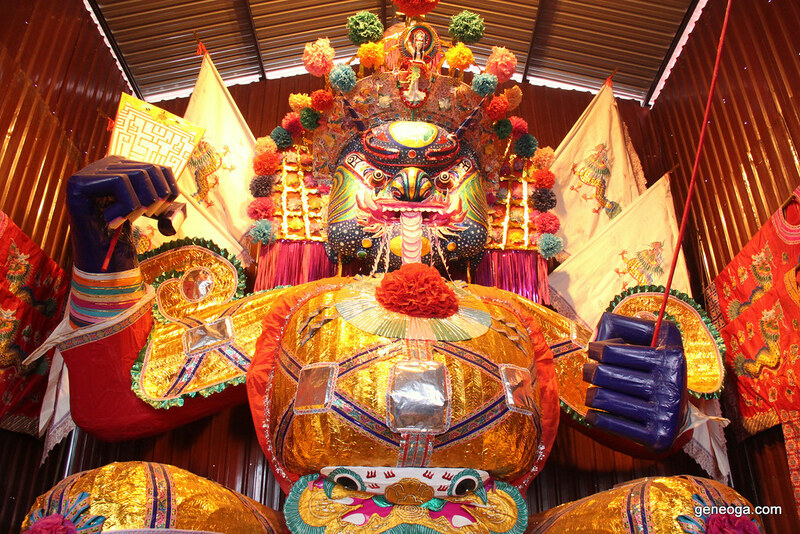 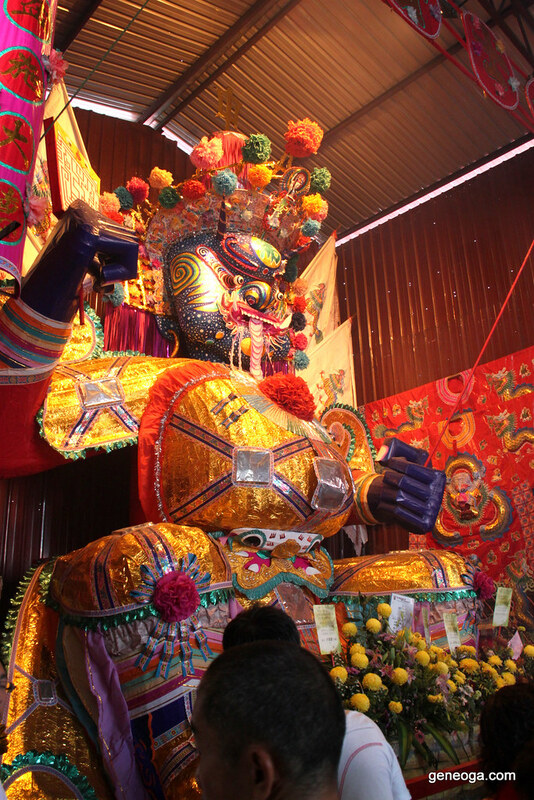 This huge 大士爷 (Tai Su Yah) paper effigy is the largest in Malaysia. 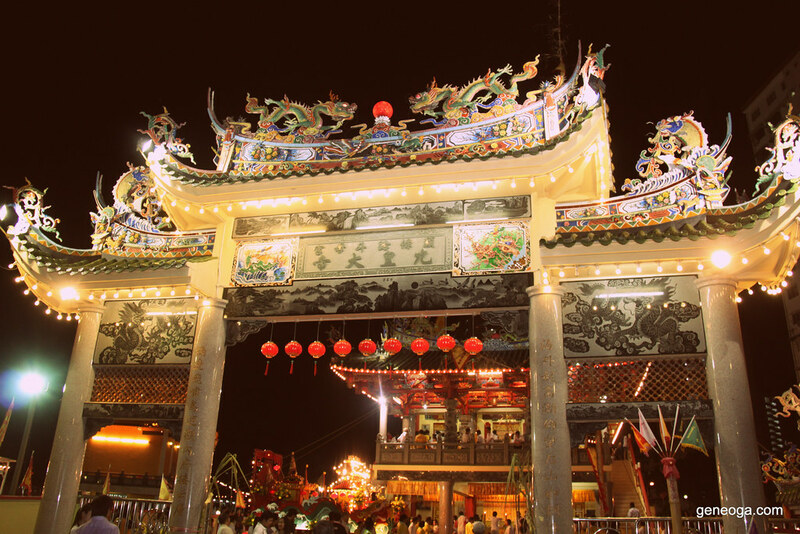 It is located at Jalan Pasar, Bukit Mertajam. 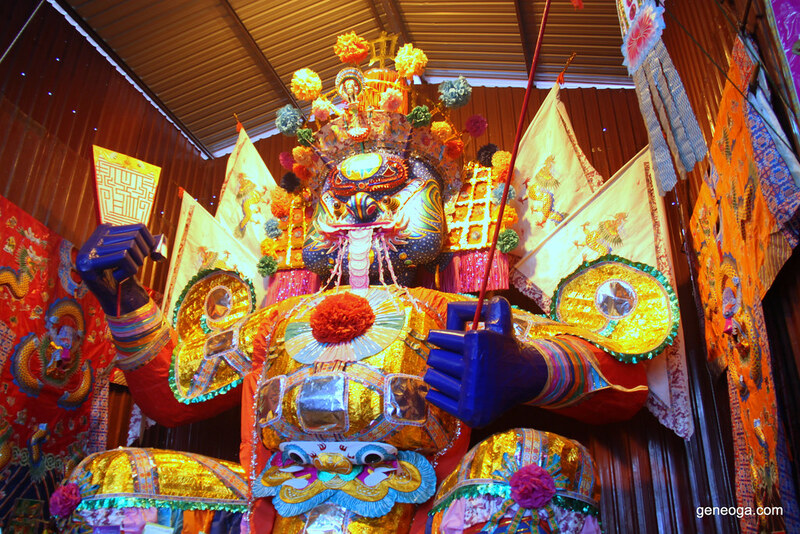 The craft work on this paper effigy is just amazing. 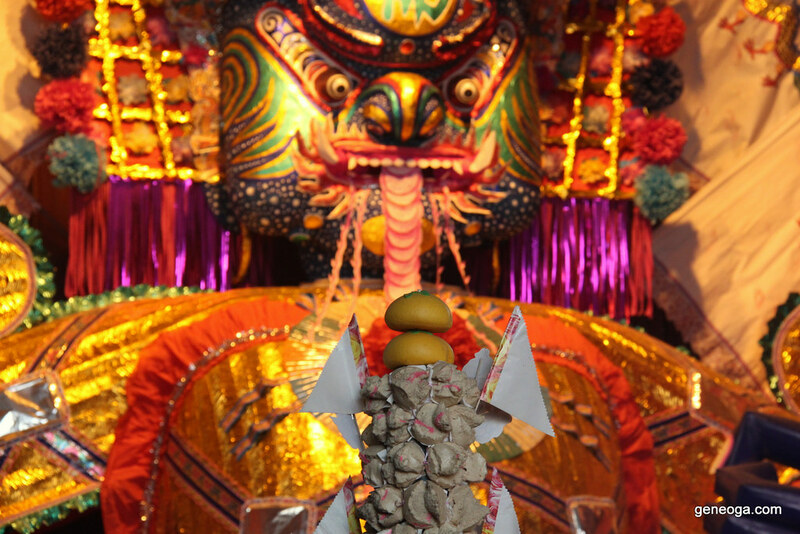 This is the finale of the festival. 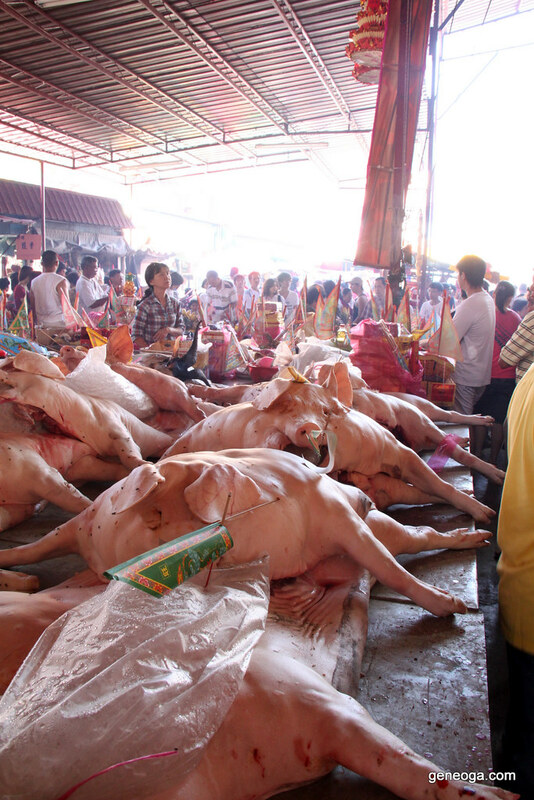 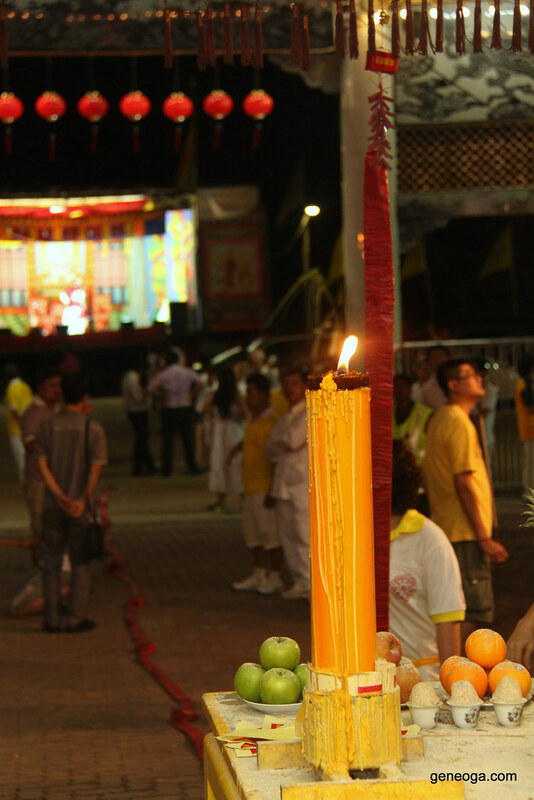 After devoting to be vegetarian for 9 days, a procession is held over the streets of George Town towards Penang Jetty to send off the Kew Ong Tai Tay. 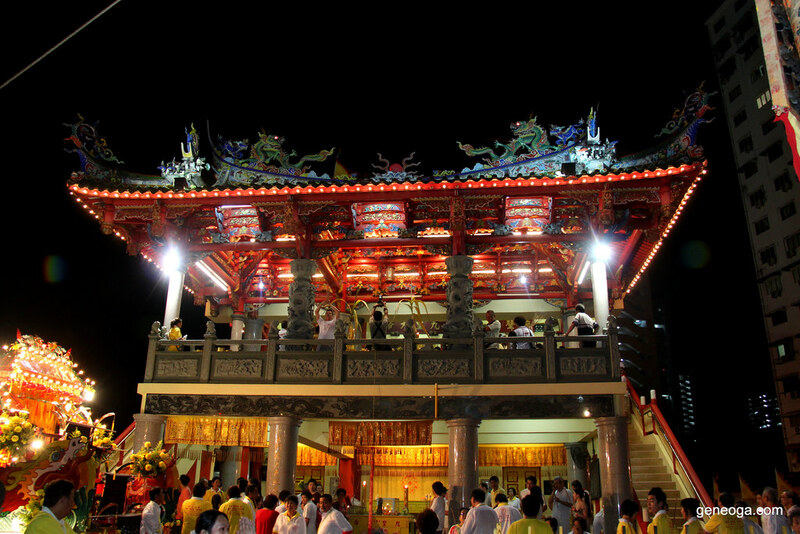 At the temple, much is done by devotees as the rituals for send of the 9 Emperor Gods. 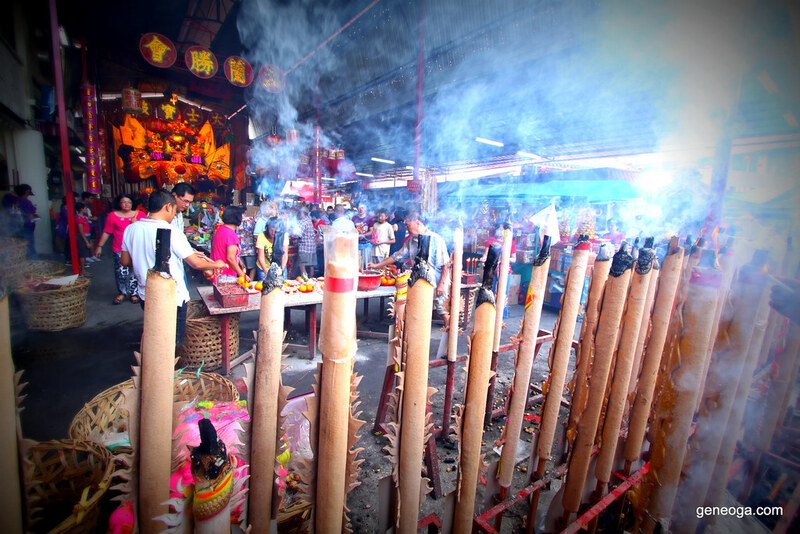 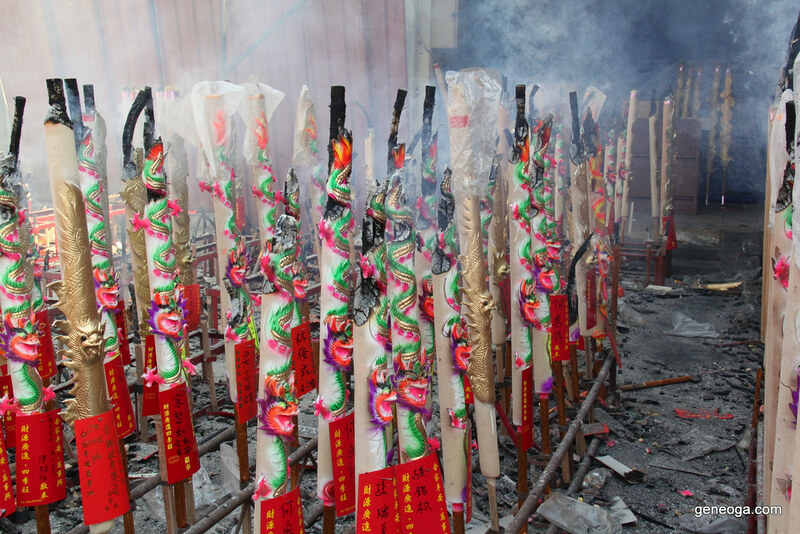 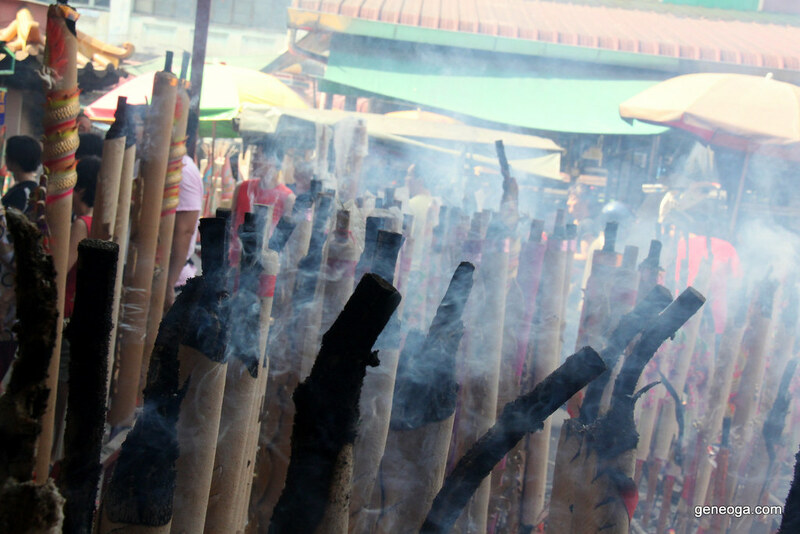 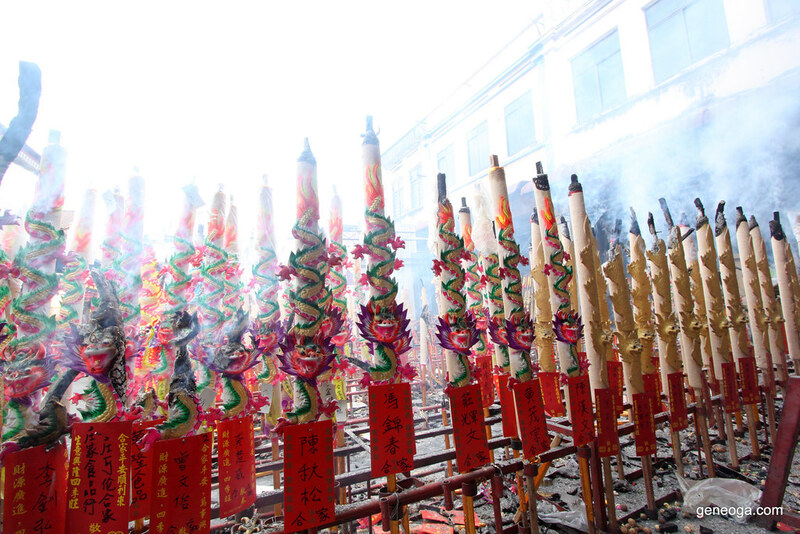 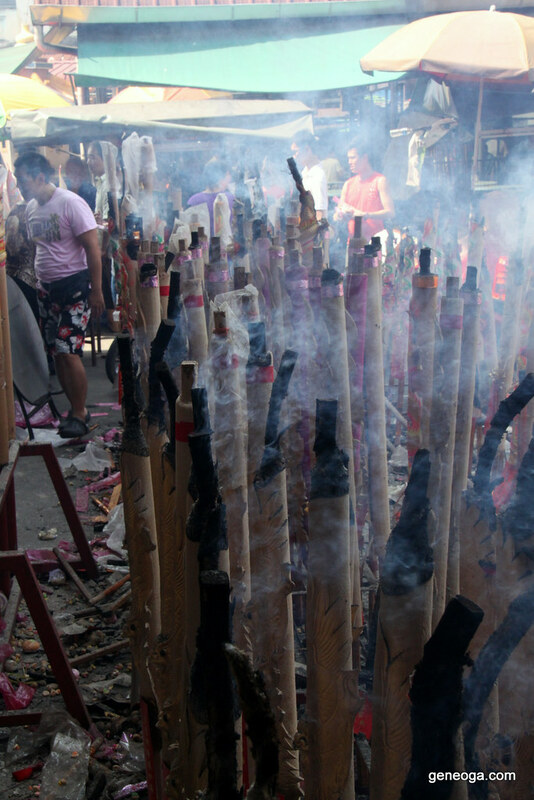 Trancing of the 三太子 or Na-zha deity is very popular and with plenty of joss sticks and fire challenge. 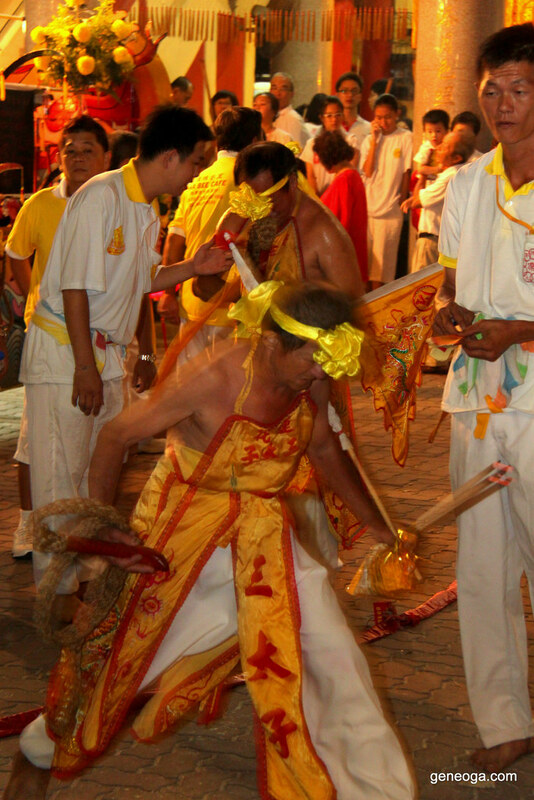 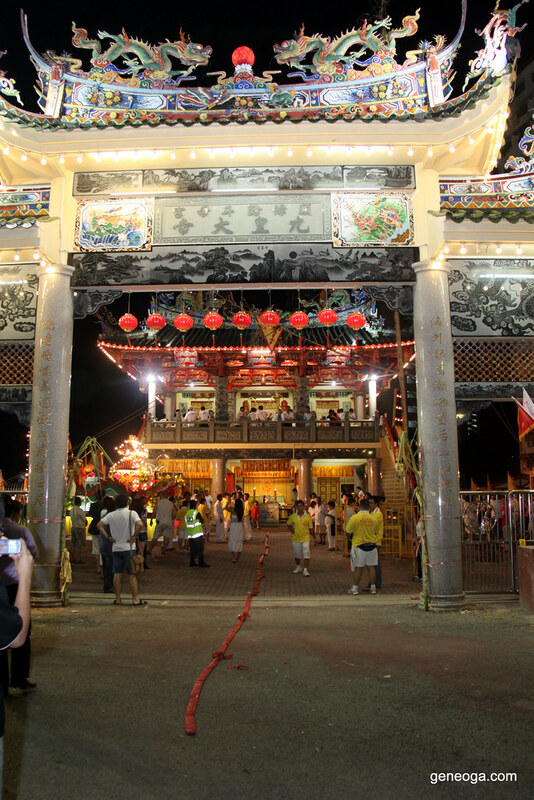 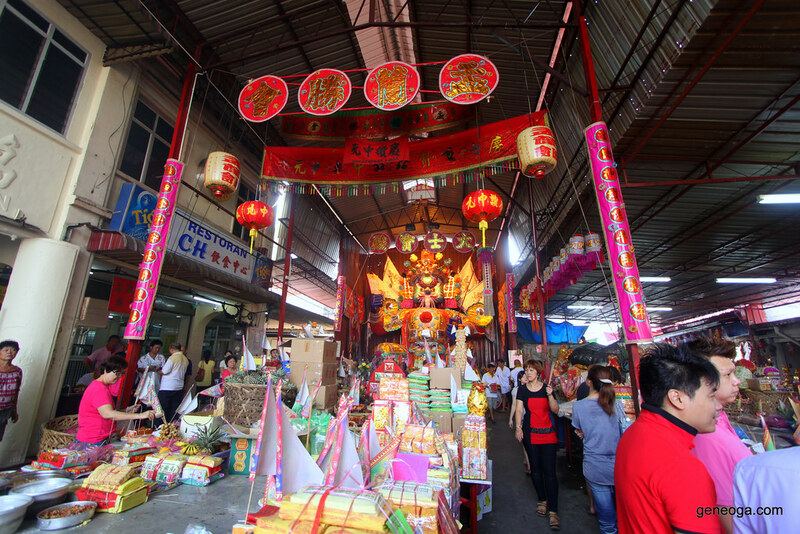 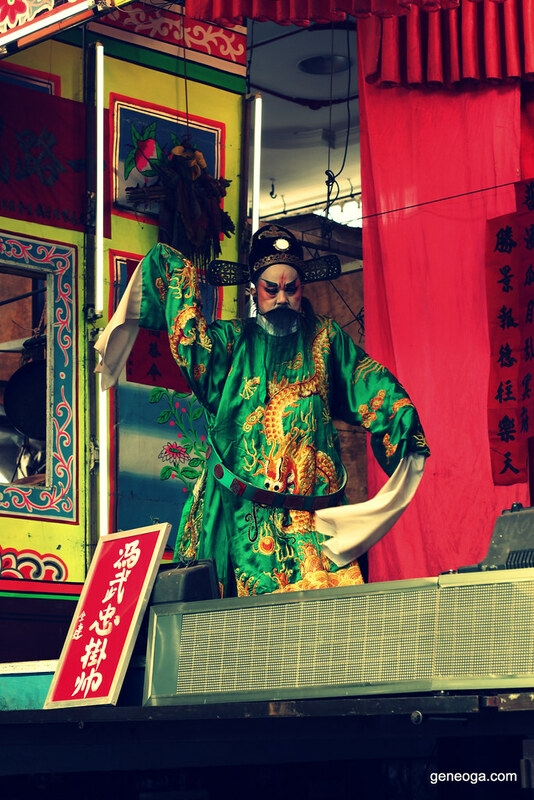 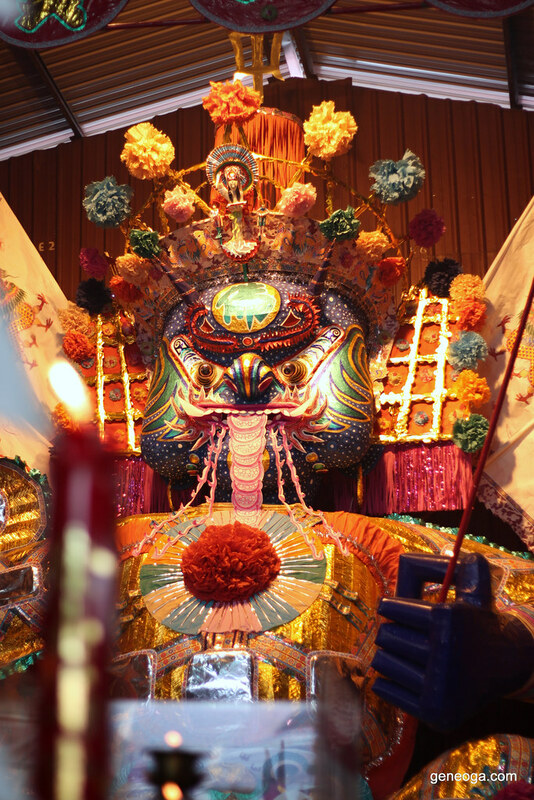 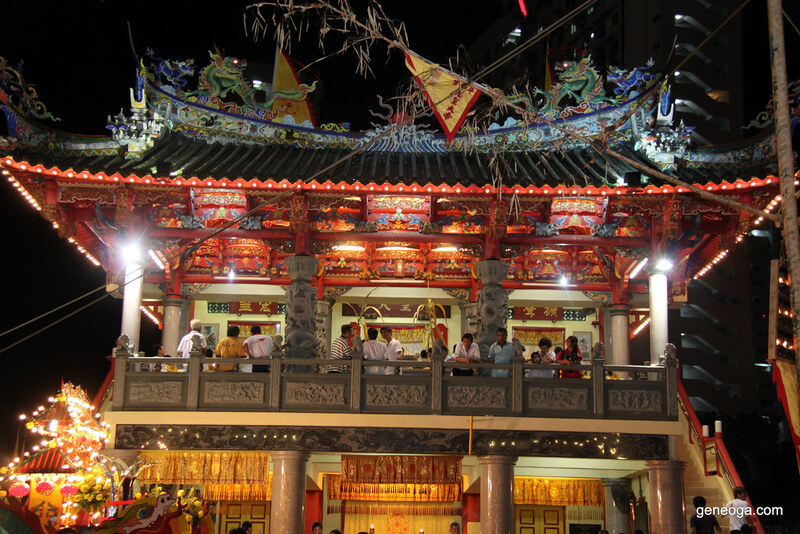 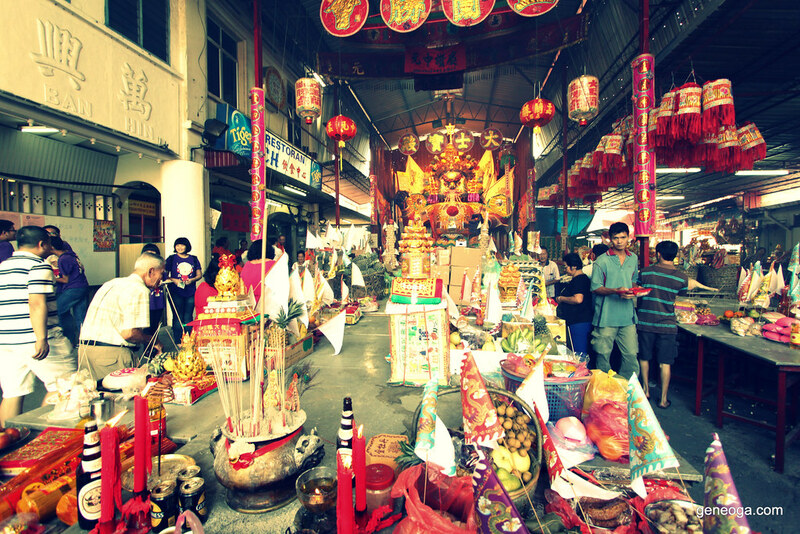 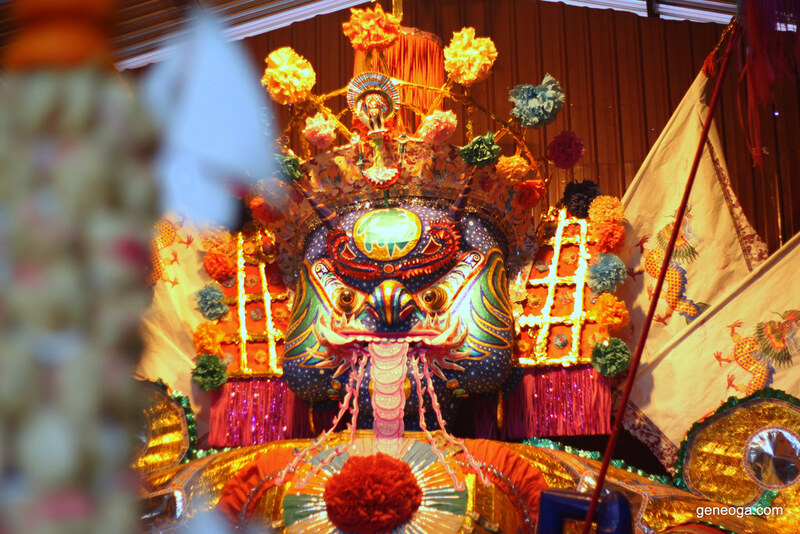 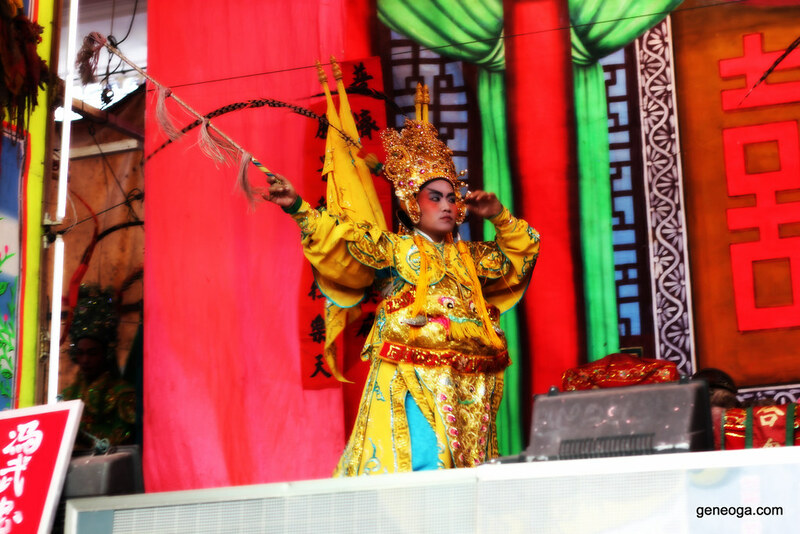 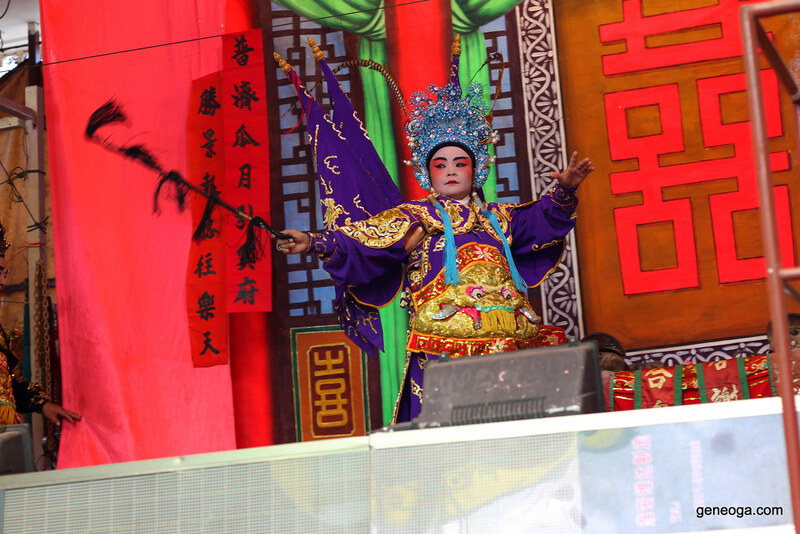 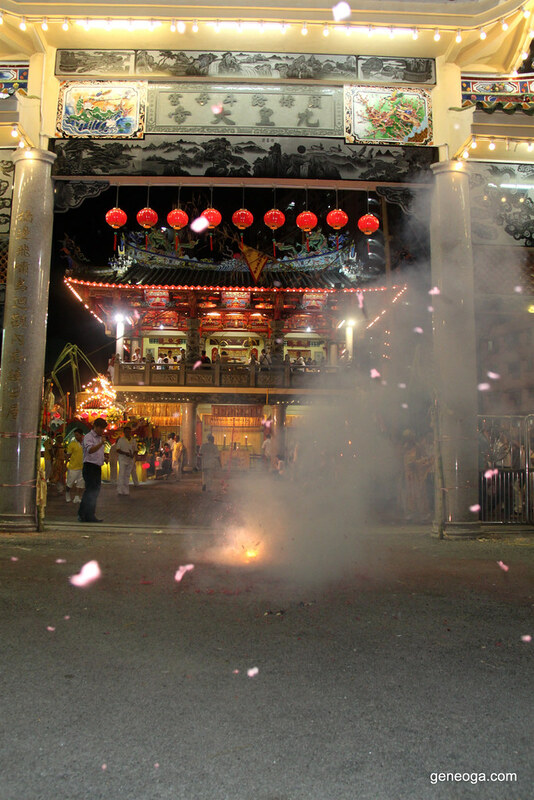 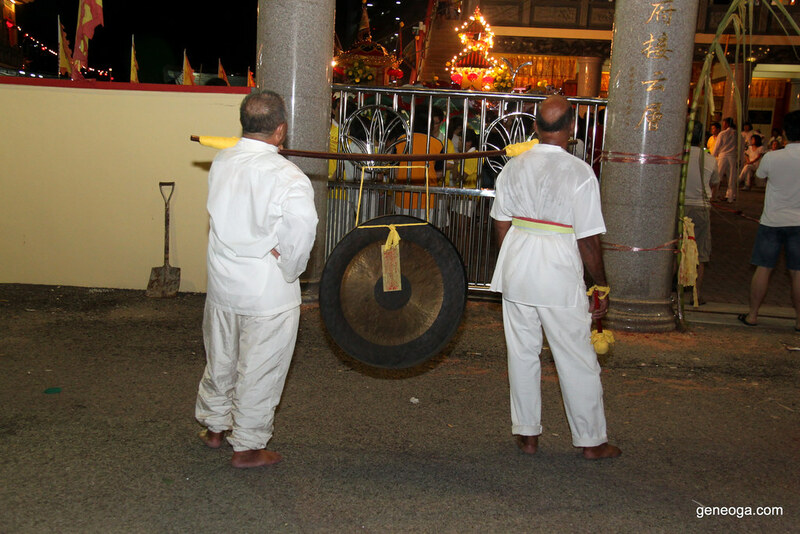 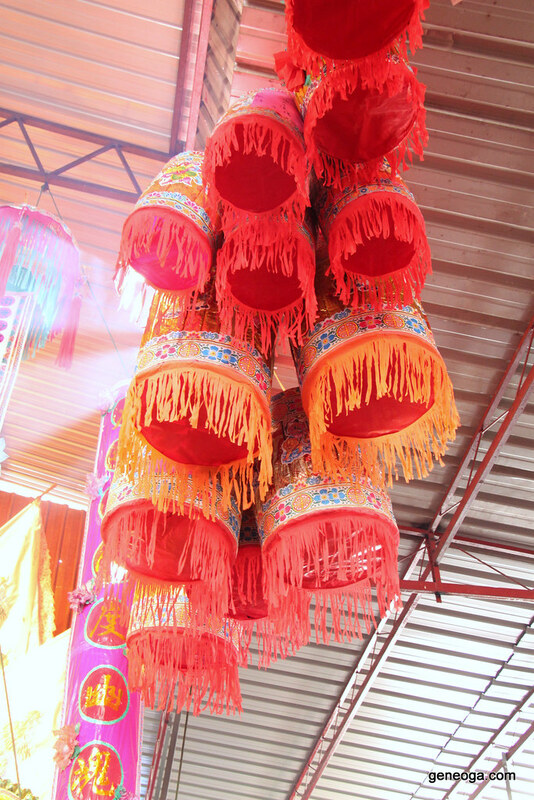 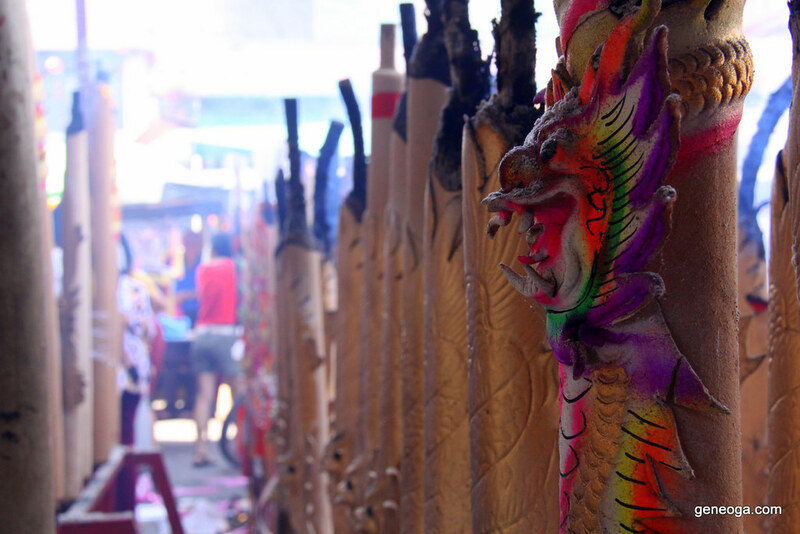 This is an annual event taking place in George Town on the 9th month of the Lunar Calendar.